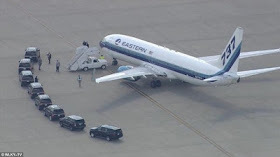 The body of three-time heavyweight champion and outspoken civil rights activist, Muhammad Ali, has arrived in his hometown of Louisville – where he’ll be laid to rest. 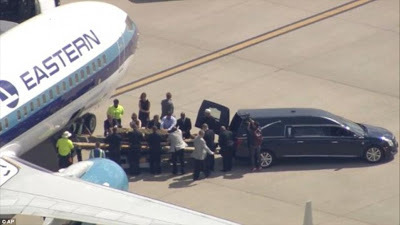 An airplane carrying his casket, which was wrapped in a black cloth bearing Arabic scripture in gold on it, arrived from Arizona, ahead of a public funeral procession and service expected to draw huge crowds. The Ali’ Family spokesman Bob Gunnell says his body was accompanied by his wife, Lonnie, and other family members and friends. Once the body was offloaded, Police escorted the casket from the airport to the funeral home.